A priority in preparing for our school year was getting an adequate arsenal ready to keep Annalise, our (almost)20 month-old toddler, busy. Like most of my children, she isn’t a napper (unless she’s on my lap or shoulder), so waiting until her rest time to instruct the older children just isn’t an option. We have to incorporate her into our day. Here is how we’re keeping a toddler busy during the homeschool day. Of course the best place to start was Pinterest. Follow Lisa’s board because home’school (with a toddler) on Pinterest. However, don’t get bogged down thinking that you need to try every one of the great ideas you’ll find. 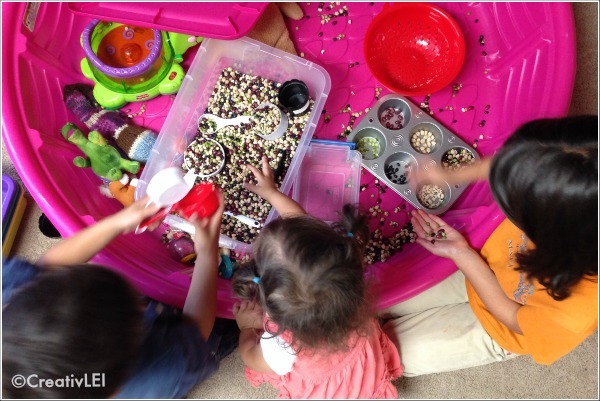 Your toddler will turn out fine even if you don’t make every single seasonal sensory bin. Look through the pins for what they are, options, not necessities. If a quick glance has you feeling overwhelmed by what needs to be purchased, or what kind of a mess it makes, don’t feel compelled to make it work in your household. Pick a few ideas that seem realistic to your budget and the way your household runs. My first investment was at the end of (last) summer. I purchased a plastic kiddie pool. My friend Becky, of For This Season, has shared lots of great tot-school tips on her blog and her Instagram feed, and she often made use of a pool for her little one. I was intrigued. Since Annalise was getting into the busy stage I plopped the pool into the homeschool room along with some of her toys. It was a great way to keep her Lego-free. Once she was able to get in and out herself it still worked well. She knew that was her space and climbs in and out without any problem. As I started to prepare for this school year I knew I’d use the pool as an integral part. We purged her infant toys and I went on a Dollar Tree shopping spree for items she would like. I know she likes to carry bags and collect things in bowls, cups, and bins. I grabbed a couple of baskets, measuring cups and spoons, bowls of various colors and sizes, a couple of dish pans, and funnels. Vince built me a play table from this pin. It fits in it’s own bin and goes on a shelf in my art table. I spent a small fortune (okay, not really, but it seemed like it at the time. I’d suggest doing one item at a time unless you’ve already budgeted for these supplies) on rice, beans, pasta, and food coloring. I colored each of them using the methods found here. 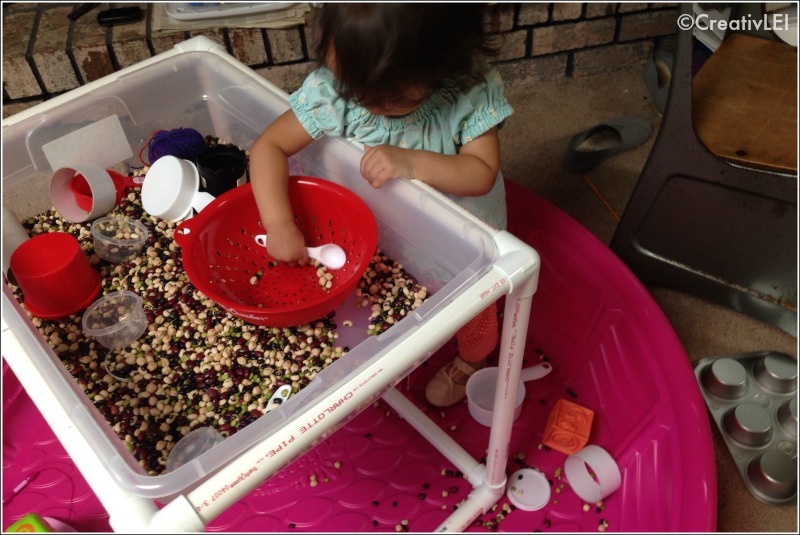 The table gets set up in her pool and most of the mess is easily contained. There are always a few scattered beans or rice, but nothing a quick pass of the vacuum doesn’t fix. My favorites are the mixed beans, the pasta, and the rice. 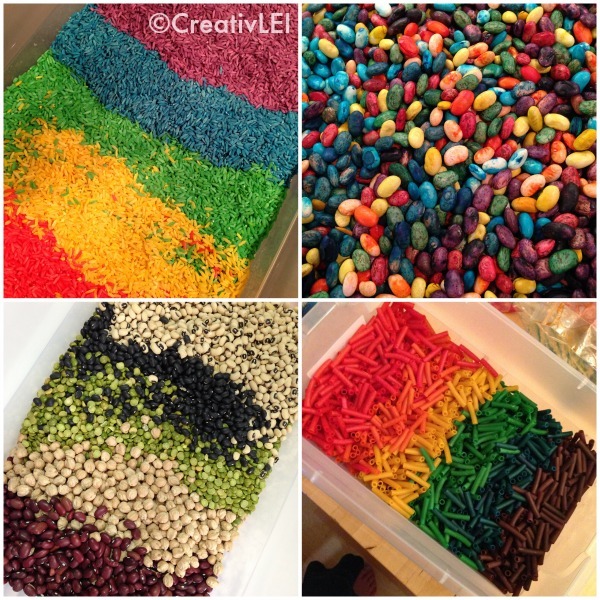 The dyed beans are not color fast. At. All. I also made a bin of pom poms and pipe cleaners. She only gets one bin a day, and only during school. It only takes a few minutes to pack it away and keeps them fresh and exciting for her. Yes, I am always chasing the older children out of her play area! The other thing I created for her was a notebook like her older siblings. I used a Sharpie and Bristol paper to doodle some pages for her and then I laminated them so that she could use our dry erase markers and pencils. They’re in a binder that she uses when the older children do their daily morning work. 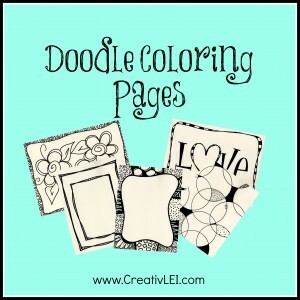 I’m offering my doodle pages for you to download for free. She loves her notebook. Just like a big girl at her own desk. So there are some of my strategies for keeping my toddler busy during school. The reality is that sometimes it doesn’t matter which activities I have for her, she just wants to be on momma’s lap, and for this season, I’m totally fine with that. 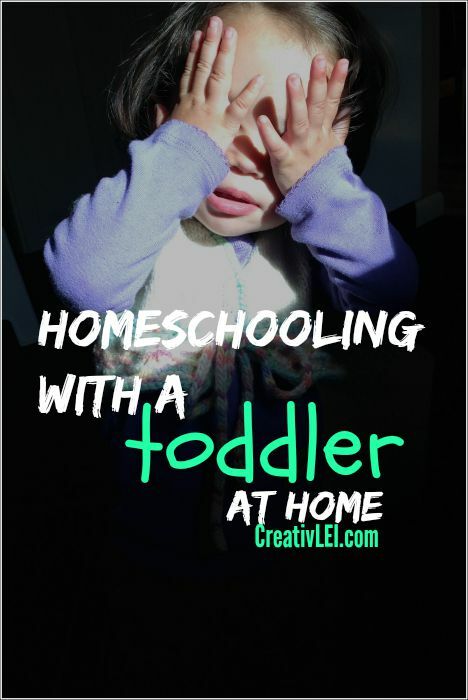 What are some of your homeschooling with a toddler tips? 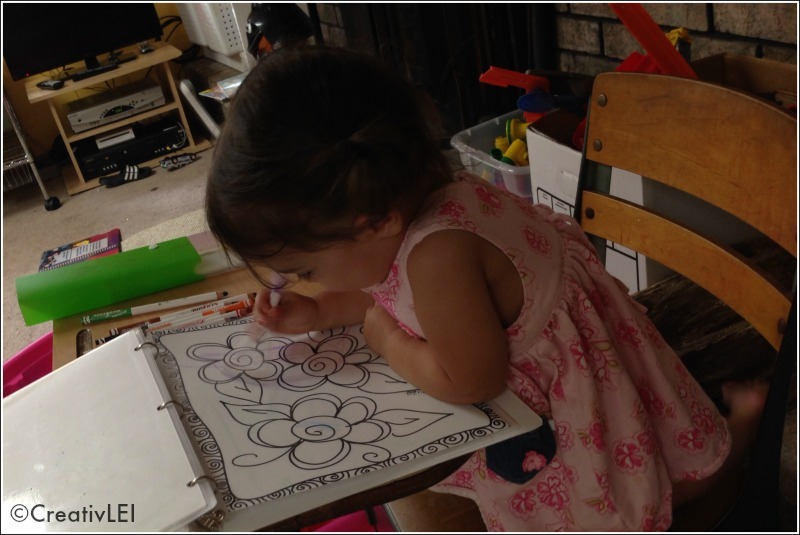 Great ideas you have shared how to manage the toddler for homeschooling. Amazing ideas you have shared in the blog. This would be much helpful for many of the homeschooling moms. Thank you so much, Ashley. I’m glad what I share is useful. Have a great day.